Mr. Tony DeZuniga is one of the early Filipino artists that invaded the U.S. comic scene along with artists Alfredo Alcala, Alex Nino, and Nestor Redondo. Gerry Alanguilan is has made a name for himself in the international comics scene starting by inking comics such as X-Men, Superman: Birthright, Wolverine, Silent Dragon and so much more. Carlo Vergara’s Ang Kagila-gilalas na Pakikipagsapalaran ni Zsazsa Zaturnnah won a National Book Award in 2002, and was adapted into a musical and a feature film in 2006. 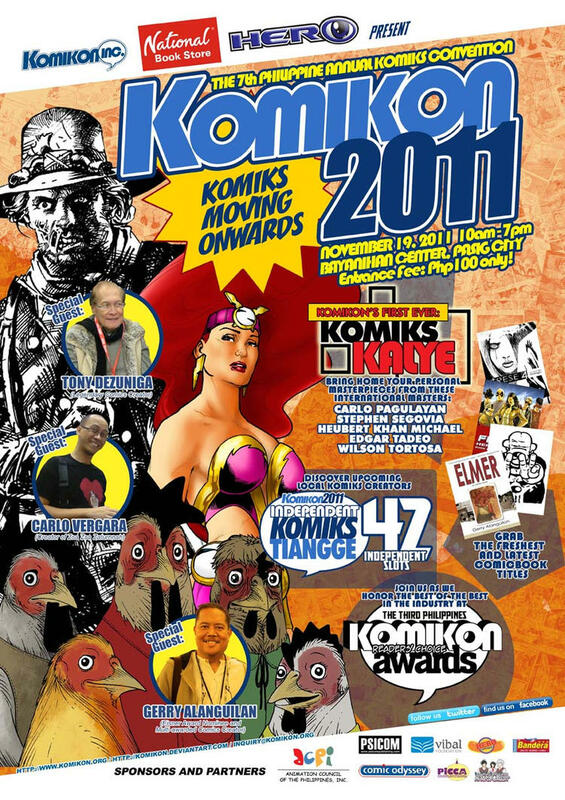 For more Komikon details, visit http://www.komikon.org including instructions how to vote.